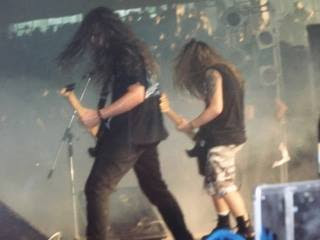 Growing Up Green : POLAND...1991-2 MY RAGING PACKAGE--SEPULTURA, SACRED REICH!! 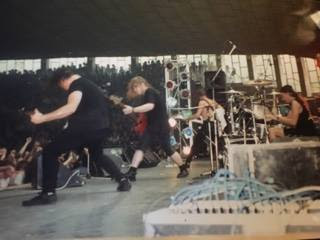 POLAND...1991-2 MY RAGING PACKAGE--SEPULTURA, SACRED REICH!! 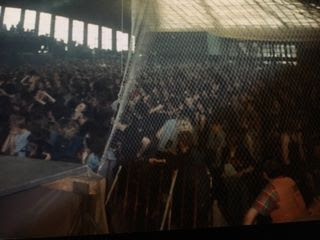 Once I crafted the SOS tour, Sepultura, Obituary and Sadus, I began focusing on cool packages of bands the fans wanted to see, but weren't necessarily the biggest drawing bands. The packages would be underground to the bigwigs and sellouts, but understood by the fans. That would be the draw. 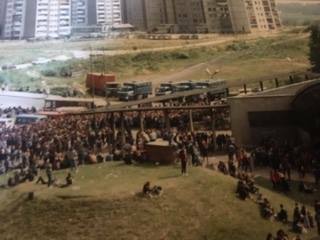 I brought Fudge Tunnel, Clutch, Fear Factory, Sick of it All, Napalm Death, many young bands to the world of Metal fans, with these early tours. In fact, I made New Titans on the Bloc, just to f#@% with certain industry people.... Ok, Students, yes, I admitted that! In these early years, most acts travelled solo to Europe. The festivals were few and far between. It wasn't like now, when you literally have thousands of festivals to choose from. In the early '90's, you could not do a show after June 7th or so, because everyone went on vacation and there were no shows at all, until summer was over. As the festivals began to appear, they were all grouped in the same May, early June time period. Eastern Europe was just opening up at this time. Different currency in every country and those damn borders!! 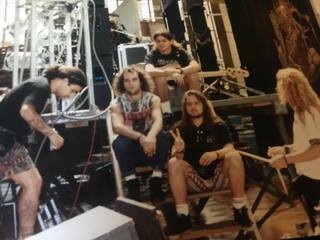 During this time, I booked a Sepultura show in Poland with Metal Mind Productions. 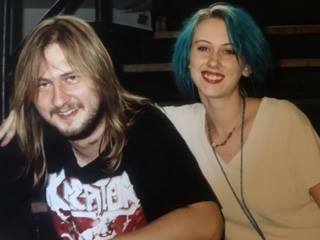 Tommy Djubinski, the early Metal pioneer who brought Metal to Poland, booked and promoted--maybe too well!--this first Polish Sepultura show in Katowice. Little did we know the riot that would occur from this date! We had played the night before in Austria, and after load out, headed to the Polish border. One big problem, though!! The Austrian border decided to shut down during the night! By the time it reopened, the next day, we were at the back of a miles long line of traffic, waiting to get out of Austria. When it became apparent we would not make it to the show, I had to call Tommy and break the bad news to him. There were no cell phones, fax machines or even pagers back then. I had to exchange money and find pay phones to do my work. I dreaded each time I called Tommy with more bad news. On his end, he kept hoping we would make it and he let the doors open and kids fill the sports arena! When he told them that we couldn't get through the border, they all went ballistic!!! They destroyed the F#@$KING PLACE!! The police tried to put Tommy in prison and charge him around $20,000 for the damage done to the city. Whew! I don't know how he got out of that one! The Sacred Reich show I had booked with him also got shut down, the year before the riot. That was a different circumstance though. The country was in the midst of it's freedom revolution and the border was closed by the Polish government. Tommy was also the promoter of that show. 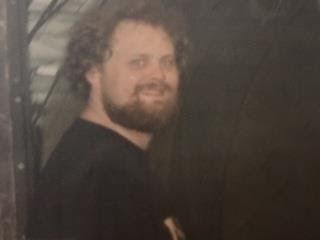 I think it was 1989 or 1990. I have seen a lot of changes in Poland. When I first got in the country with Sacred, there was no food. No Cokes, bottled water, nothing! I remember our catering was one Coke, a small, white piece of meat and 5 fries. That was a luxury for them to even serve us!! Bottled water was tasting like Alka Seltzer and we were happy to have it! Now, Poland is popping like Vegas or New York City!!! The scene is huge and powerful, with many bands coming into Metal fans' music files!! The good thing about rescheduling the show, was that we could have a full crew with us. Since we were sharing, we could have lighting and monitor engineers and front of house. It made my job less complicated and I could focus on management instead of taking on more duties. I had my trusted daughter, Christina, flipping cotton like no other at the time!! I was the merch girl for many previous tours. Managing behind the merch booth was no problem, and I got to meet many fans! But it got overwhelming with the growing success of my roster. After the commotion of the riot, I combined Sepultura and Sacred Reich and took them both to Europe on the same tour. It was rare back then, to make a package in Europe, but it made sense to me. I could put them both on the same bus, share some crew and have a blast!! 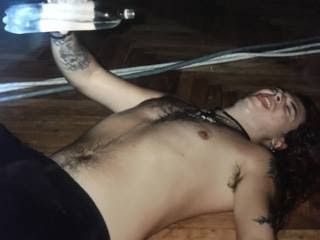 We went back to the previously destroyed venue and paid Tommy back for his migraine!! Police and fans were everywhere!!! The crazies even burst into the restaurant while we were eating, and we had to rush through the kitchen and a secret passage, just to get out! Beatles for a day! !